First-year Seminole from Virginia…brings a wealth of track & field experience to the program, primarily as a middle distance runner…competed in cross country for just the second time in her career in the fall. 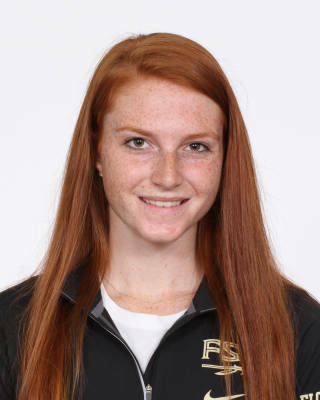 Cross Country: Joined the team after the fall semester began and made her way into the lineup for two meets…opened up at the FSU Invitational where she was 20th among Seminoles in 21:53…competed in the first 6k of her life at the Crimson Classic, finishing 11th among teammates (26:02). A four-year member of the indoor and outdoor track & field teams at Manchester High in Midlothian, Va….a five-time Virginia state championships qualifier as a member of either the 4×800 or 4×400 relay teams…also competed in one season of cross country…800-meter PB of 2:24.95…outstanding student who was member of National Honor Society, the National Science Honor Society and the National History Society in her junior and senior years…intends to major in criminology at FSU…born March 15, 1998.